The U1650 has a rear mounted Jenson 141 chipper which is propelled from the Unimog with a chip shoot facing into the rear box enclosure to store woodchip when down track. It can chip a maximum wood thickness of 24cm. 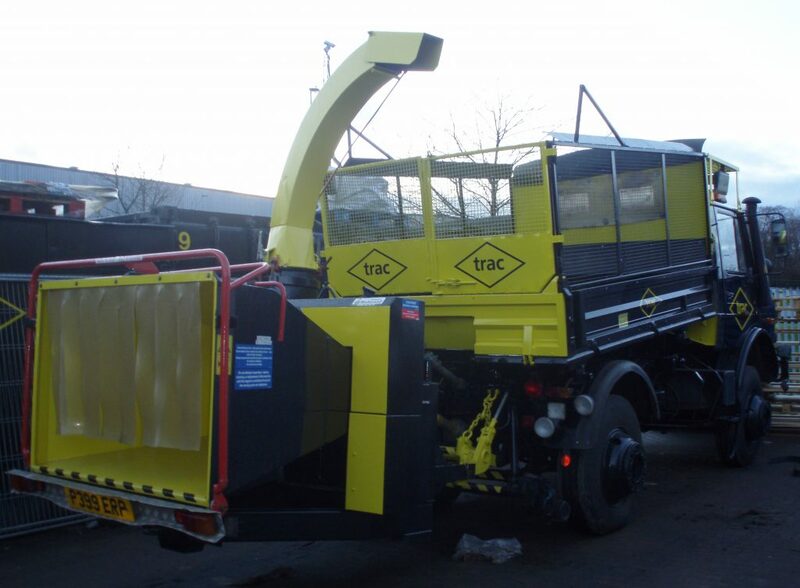 The rear chip enclosure has a 3-way hydraulic tipping body for tipping up to aid with easy and quick disposal from either side or rear of body to minimise downtime on track when machine is in possession.